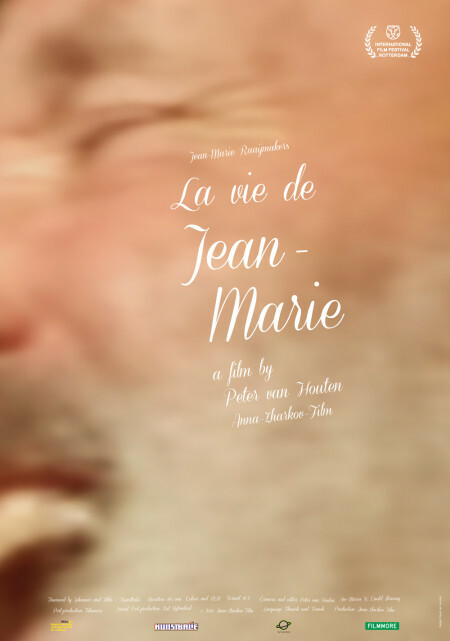 Voor mijn vader en filmmaker Peter van Houten ontwierp ik het affiche bij zijn nieuwe film ‘La vie de Jean-Marie’. De film gaat in januari in première tijdens het Internationaal Filmfestival Rotterdam. Hieronder vindt u een beschrijving van de fim: The film “La vie de Jean-Marie” is an excellent form of observational cinema (cinéma vérité) as well as being a feelgood movie. Jean-Marie is the eldest son of a large family, of which the Dutch father bought a mountain in the French Pyrenees in 1948. Now he is a pastor for 25 villages located in the area. Jean-Marie speaks of the harsh rejection by the great love of his youth in the village of Olette, his subsequent taking of the cloth as well as his spiritual love for his neighbour later in life. With his simplicity, openness and humour he manages to move us all. At the age of 75, he makes a drastic decision that leaves everyone baffled. Recordings from 2004 until 2010 in the Eastern Pyrenees.